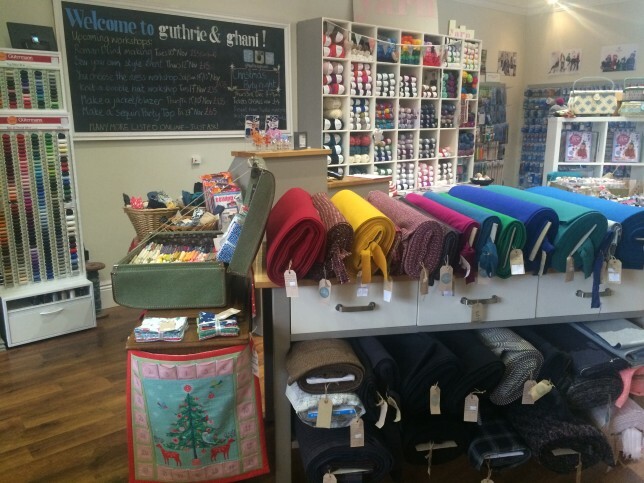 Guthrie & Ghani is a fabric emporium and sewing school in Moseley Village, Birmingham. Founded on a love of creativity, Guthrie & Ghani are excited about crafting beautiful things and believe that handmade doesn’t necessarily have to look homemade. 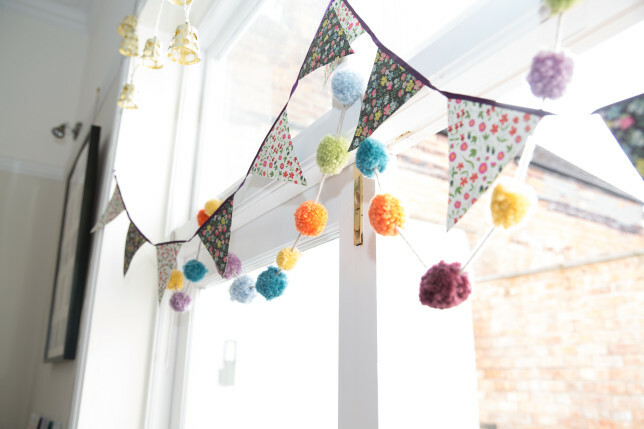 Formerly a physiotherapist, owner Lauren started the store to pursue her true passion – sewing! The store started out online and then moved into brick & mortar, in a lovely mock Tudor building built in 1898. It has now been running for three and a half years. Can you tell us a little bit about how you got started and where your passion comes from? I decided to take a career change from healthcare into something more creative that I was passionate about. I’ve always loved sewing and crafting things so a shop, as well as a space to teach others how to embrace that creativity, was perfect for me. It’s exciting to be able to share that with others. Running a business is a lifestyle choice, and you have to enjoy all of it (or at least most of it!). Guthrie & Ghani aims to give modern dressmakers and those looking to sew a full experience, from inspiration, to learning, and creating something beautiful. A lot of our customers are beginners, so they can be apprehensive or lack confidence. We’re there to give them advice around what projects to choose, how to match up fabrics, and anything else they need to make a brilliant new outfit. Our local community is lovely. Moseley is a leafy suburb of Birmingham and has always had a creative vibe about it. There are lots of great cafés, bars and restaurants nearby, with more independent shops opening up too. It has a real village feel and everyone is really friendly so it’s easy to get to know people. As our business began to grow we realized that we needed so much more out of an inventory and POS system. To begin with, a lot of processes were manual and susceptible to human error, so it meant nothing was ever truly accurate. Vend took a lot of pain out of these processes, so now we have more time to focus on the important things, like our customers. We use iPads in our store, and the best thing about that is it’s so much less clutter! No more big machines on the counter, and the staff find it very easy to use. It also means that information is available from the till point at the click of a button – anything from stock levels to sales reports. Your business is very inventory-intensive, how do you keep track of all your stock? We set re-order amounts on all our products in Vend, so a new order is triggered automatically when stock is at a low point. Finding that point takes a bit of getting to know the ins-and-outs of your store as it depends on how much you sell, how quickly, and whether you can get it back in stock or not. We also run regular inventory counts on different categories of stock. This ensures the system is kept up-to-date and any discrepancies are accounted for quickly and easily. Do your best to get systems and processes right in the beginning. Don’t wait until mistakes happen, as it takes a lot longer to sort everything out and can get quite messy! The post Vender of the Week: Guthrie & Ghani appeared first on Vend Retail Blog.